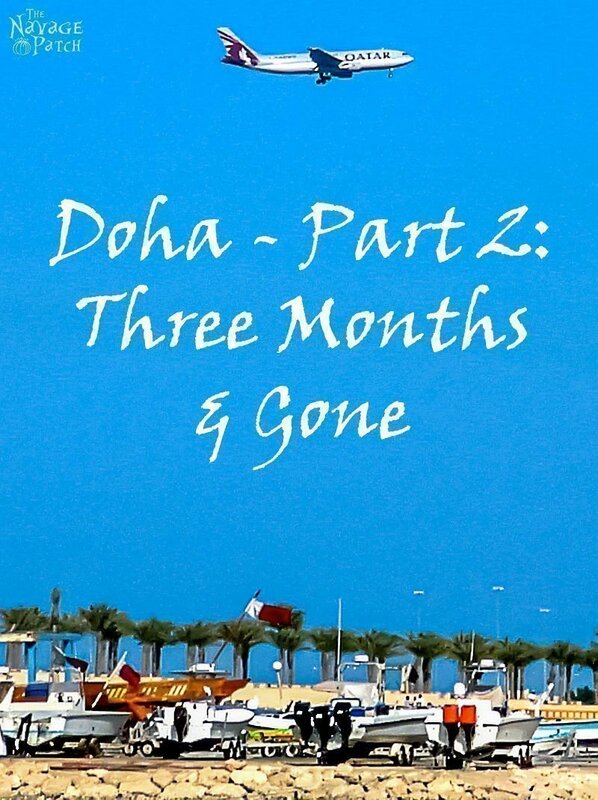 And thus Handan and I began three months of illegal cohabitation in Doha, Qatar, though at the time, we thought our stay there would exceed two years. 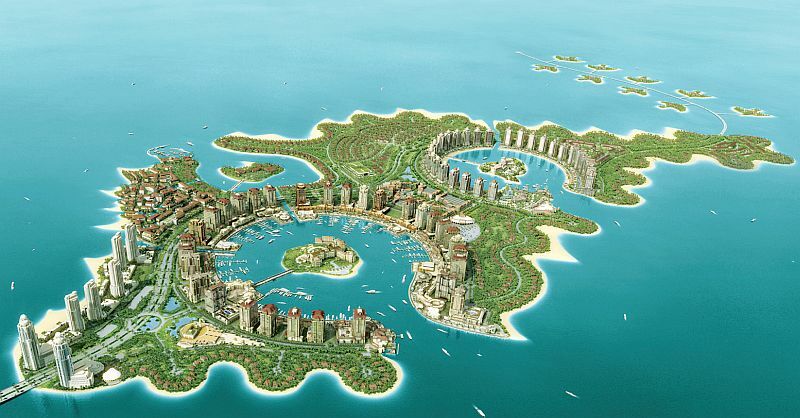 The project that Handan was hired to work on, and the reason we were in Doha, was called The Pearl Qatar. Here is what it will look like when completed. This was (and is) a massive, multi-billion dollar construction project that aims to build a winding artificial island peppered with luxury high-rise apartments, exclusive villas, ultra high-end retail, and chic restaurants rubber-stamped by some of the world’s most recognized and influential chefs. 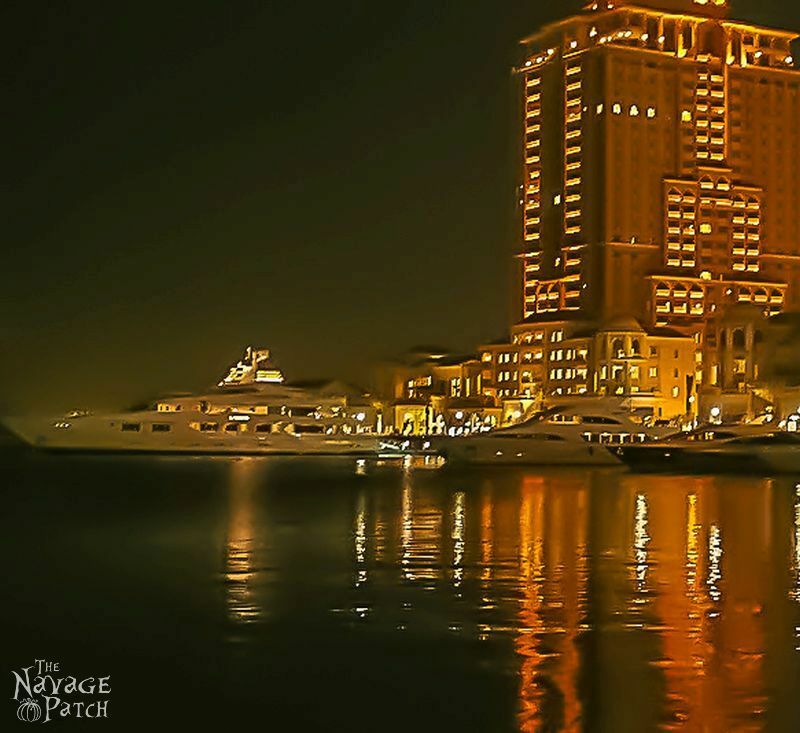 The Pearl Qatar is a residence and playground for Qatar’s ruling class and business elite. It is also open to any wealthy foreigner willing to pony up the dough and put up with the unique challenges that come with living in the Middle East. The Pearl Qatar was to be our home – a perk of working in senior management for the project management company. 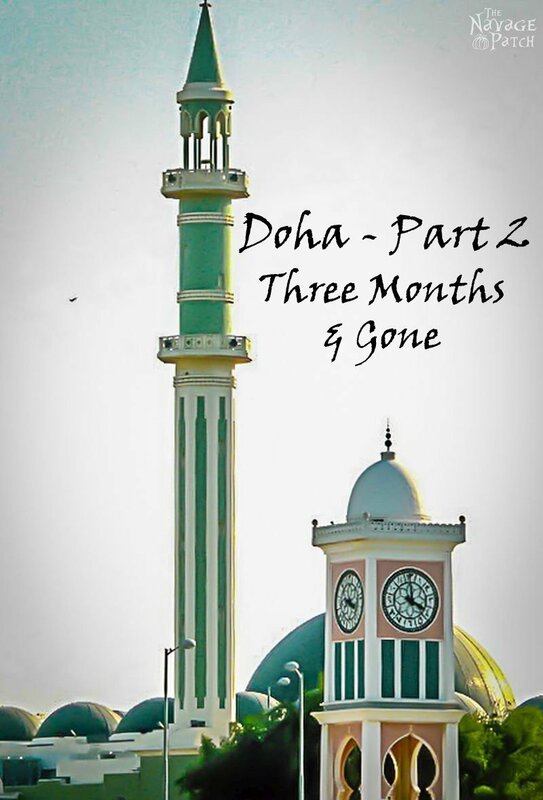 But first Handan had to pass her probationary period with the company, and that meant living in a small flat in Old Doha. Old Doha is the Doha of yore, before the extraction of oil and natural gas injected billions of dollars into the royal coffers and local banks. 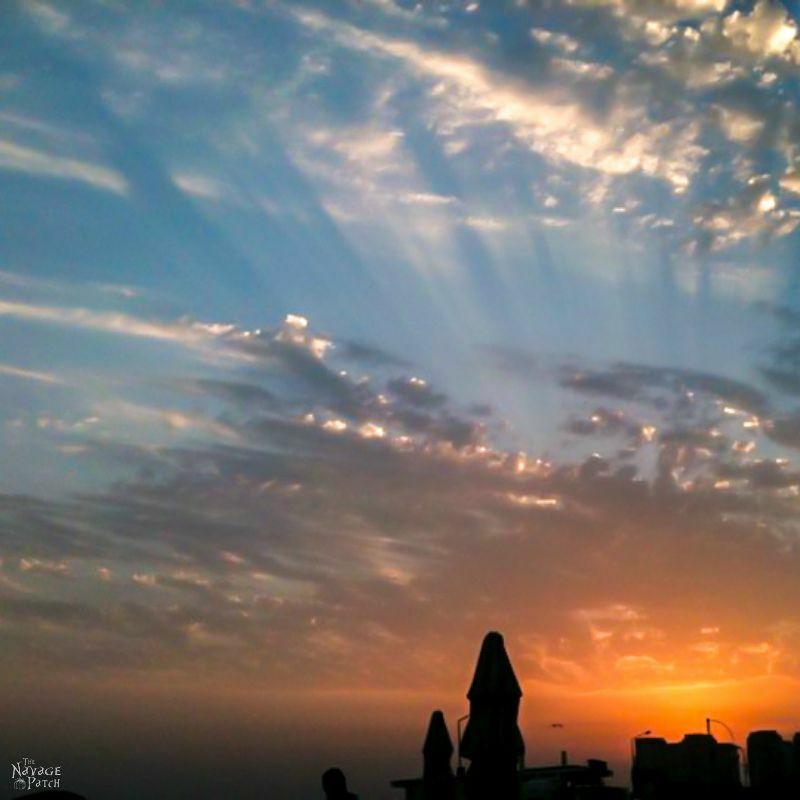 Old Doha was once home to poor fisherman and pearl hunters, eking out a hardscrabble living from the warm waters of the Arabian Sea. It was, and is, unassuming and humble. Modern Qataris (who comprise only 10% of the population) mostly live in shiny new villas and high-rise apartment towers in other parts of Doha, well-fed and pampered by a government swimming in petrodollars. Old Doha, on the other hand, is home to immigrants: Pakistanis and Indians mostly, but with a smattering of other Middle Eastern and North African nations thrown in for good measure. For a few months it was also home to a Yank and a Turk. The upside to living in such a neighborhood is that we could find excellent food for mere pennies. 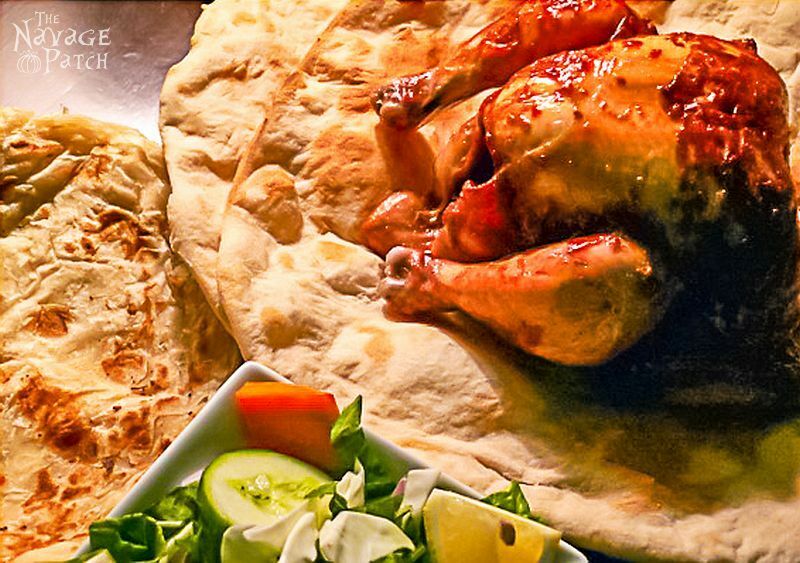 A restaurant on our block served up a whole roast chicken, a salad and four roti for $4. We were never able to eat in the restaurant, since women weren’t allowed inside (ah, the glories of Sharia law, and one of the aforementioned “unique challenges”). But there was a window where Handan could order roti from a weathered Pakistani who sat cross-legged at his tandoori oven, while I walked into the restaurant and back out with a chicken. 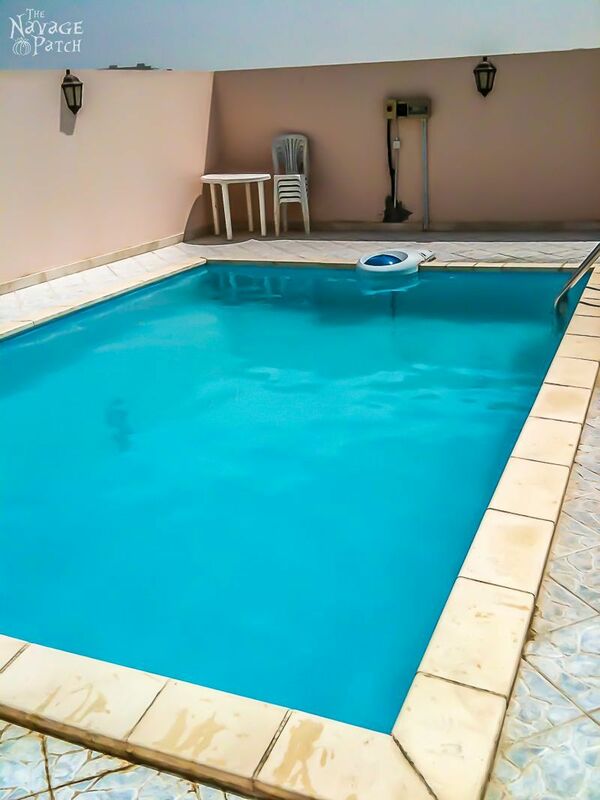 Okay, so the “lounging” part might not be happening, but a pool’s a pool when the temps are in the triples. Before long, we discovered that we could join the pool club at one of the international hotels. This had the added benefit of booze. There are precious few places to get the sweet juice in Sharia countries. In Qatar, there is exactly one liquor store. Access is tightly controlled – only foreigners who have a liquor license (which we eventually got) may purchase alcohol. Purchases are limited to twenty percent of one’s monthly income. But at the big international hotels, the tipsy nectar flowed! 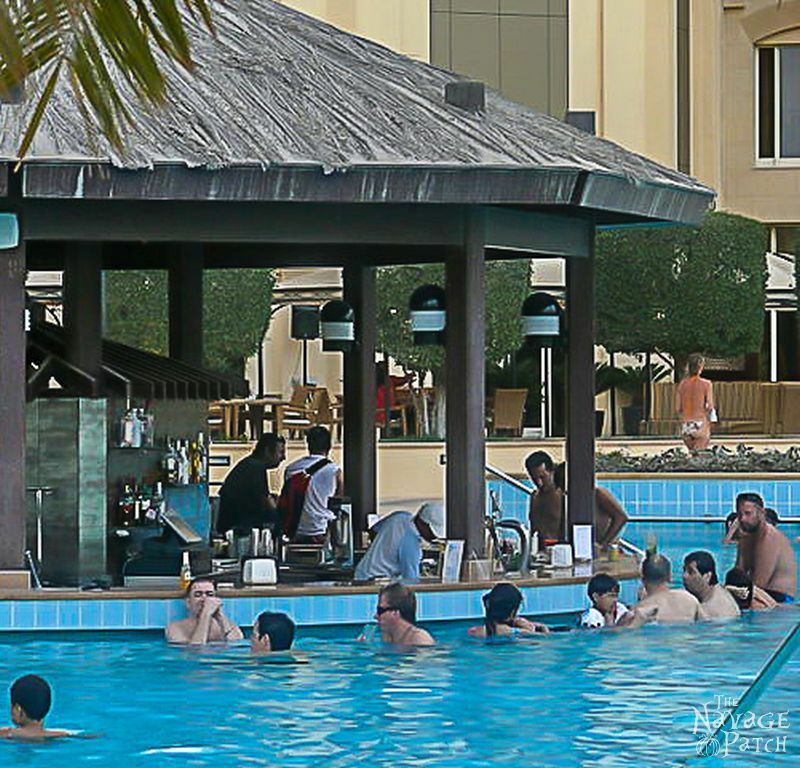 There was a great poolside grotto bar at our hotel pool club. Every day it was crowded with folks from all over the world, cooling off and getting drunk. My favorite group was a gaggle of local men who convened daily to splash, ogle and enjoy fruity drinks. Their tipple of choice: the Blue Hawaii. I did not work while I was in Doha. I was there on a tourist visa, so I was not permitted to look for work. This left me with a lot of free time, so I decided to try to teach myself Arabic. When in Rome, and all that. Here’s a shot of my textbook and the notebook wherein I practiced my letters. Trying to learn any language by yourself, alone, from a book is probably impossible, but it is especially impossible for a language like Arabic. It may as well be Martian. It goes backwards, for crying out loud! 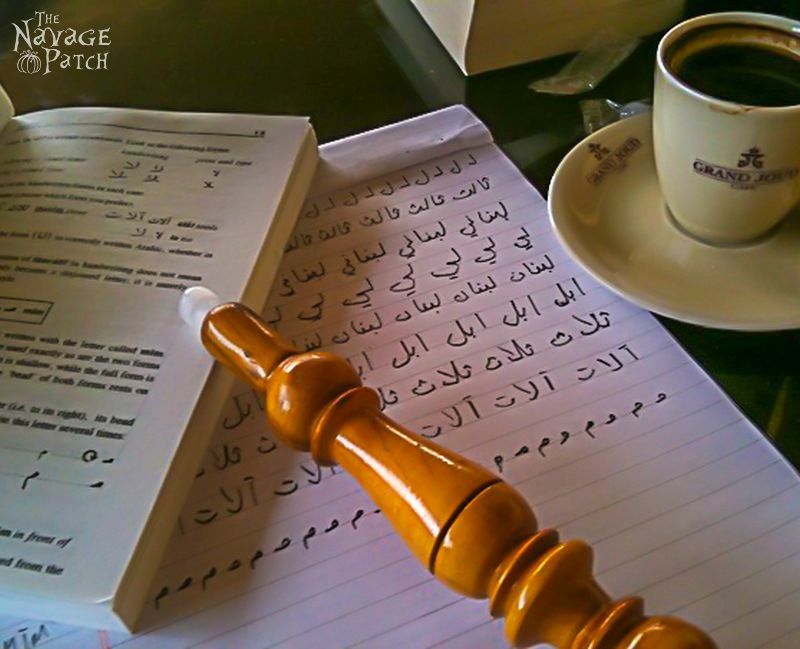 Anyway, my attempts to learn Arabic led me from café to café, drinking Turkish coffee and eating small plates of food. 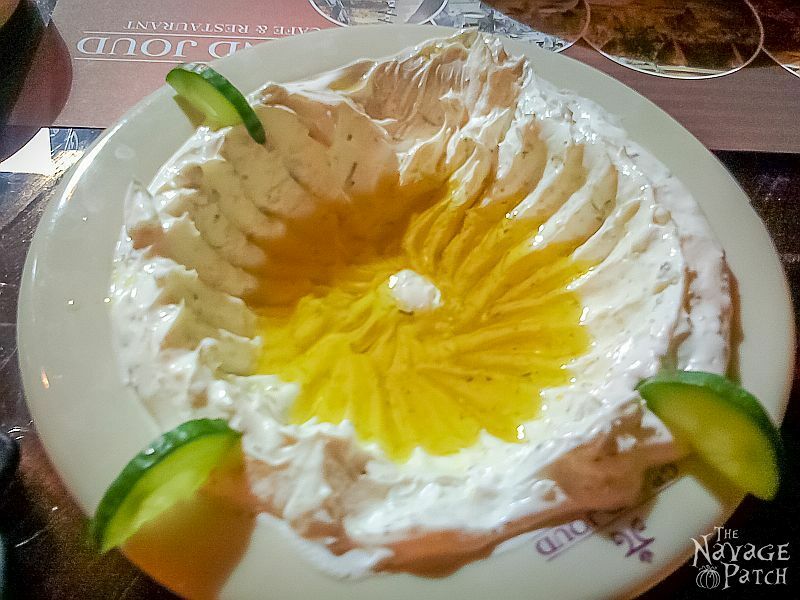 In Doha, I was introduced to labneh, or strained yogurt. It is something I now make at home. I’ll post a recipe soon, for yogurt and labneh. During one Saturday stroll, Handan and I stopped into a restaurant to get out of the sun and have a bite. Reading the menu, I noticed baby camel on offer. Apparently grown-up camels are tough and nasty, but the young’uns are tender and tasty. I ordered one. Well, not a whole camel. That would be ridiculous – after all, it was lunch, not dinner. Minutes later, my camel arrived. 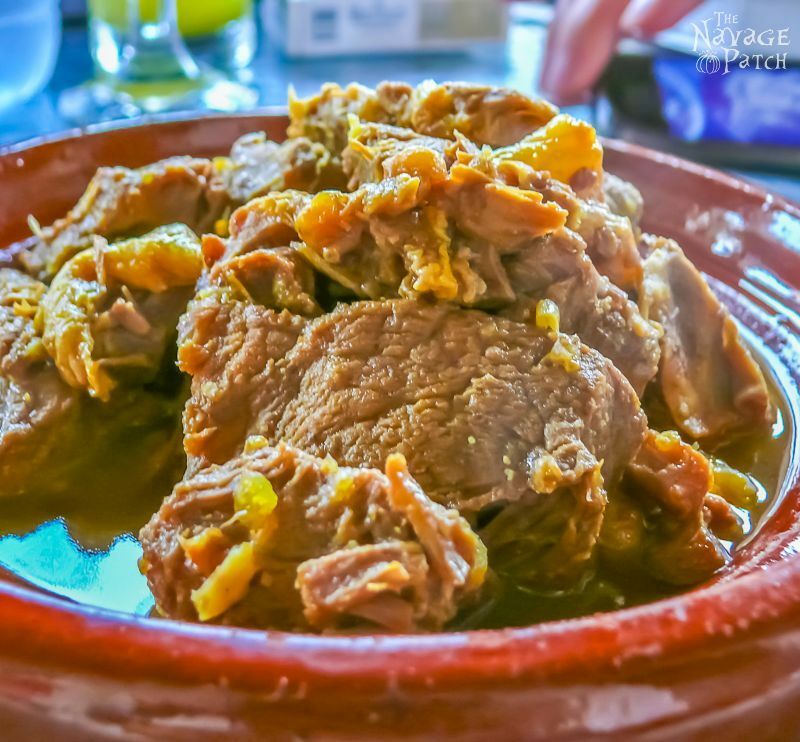 It was stringy, slightly chewy and everything I wanted in a braised baby ungulate. Our weeks in the old city and Doha center were well spent, but then it was time for us to move to our new apartment in The Pearl Qatar. The Pearl lies just outside the city, so all the shops and restaurants that we visited on foot were no longer a practical option. Driving into town now took 15-30 minutes, depending on traffic. But what we lost in local culture, we made up for in haut couture. Our balcony overlooked a Rolls Royce dealer, a Ferrari dealer, a Giorgio Armani shop, an Hermes shop, a Ferragamo, a Cavalli, a Ferre….blah blah blah. A brief walk away was one of several boardwalks, each festooned with the who’s who of luxury apparel and fine dining. These were the haunts of the 1%. What the hell where we doing there?? Our apartment was gorgeous: brand new, state-of-the-art, and fully furnished. Our wrap-around balcony was bigger than most Americans’ apartments. Our surroundings were quite literally fit for kings. But though the temperatures pressed north of 110°, The Pearl Qatar was cold. Maybe it was because the place was not nearly finished. Maybe once it was bustling with Emirs and Executives and Trophy Wives and Brat-toting Nannies, it would feel warm and welcoming. Maybe. 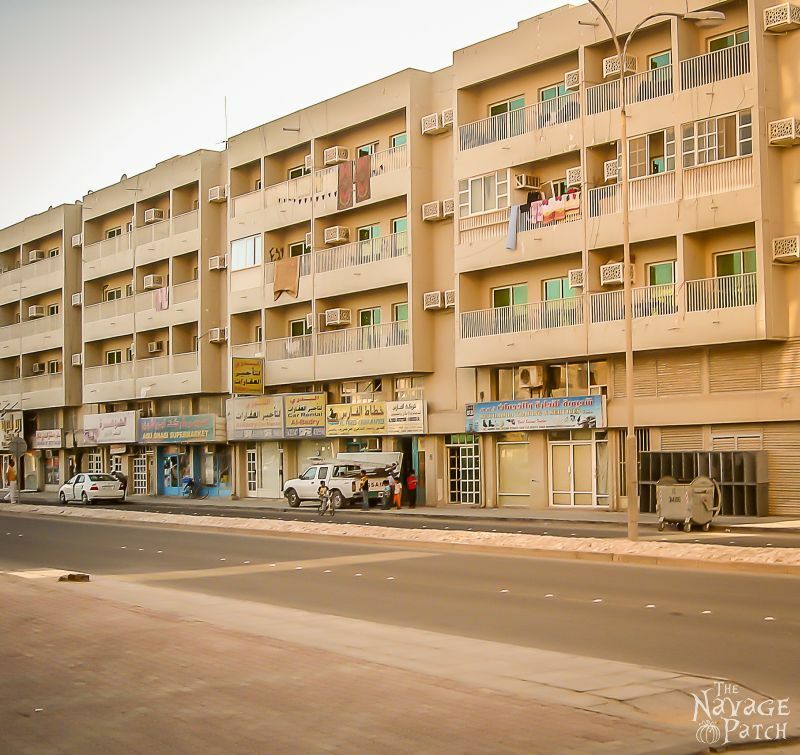 But I think the true Pearl of Qatar lies back in that old city, in the dusty streets, amid the shops and cafes, where patrons share space with stray cats, and the slick sheen of oil money is a mirage glimpsed off in the distance, always a few blocks away. I lived in the Pearl for only a month before I had to leave Qatar and return to the states. For one, my visa ran out. More importantly, I had a wedding to plan. Handan would be joining me in one month, and we would marry at my parents’ house in Connecticut. Days after I landed in the States, Handan informed me that she had given her two weeks notice at her job. She had been banging her head against the wall with her new company for months and finally decided that it was just not worth it anymore. She packed up all of our belongings by herself, and moved us out of Qatar. One month after I left Doha, Handan landed in America for the first time. Handan and Greg, I have been enjoying bits and pieces of your story, mingled with the stories of your crafting and creativeness, for some time and have enjoyed every single one. Kudos to you both for taking so many risks for love. I, for one, am so complacent in my safe and secure world and I find the two of you truly inspiring. Thanks for sharing this ‘oldie but goodie’ with us and hope to see more this week. Thank you, Lynn! 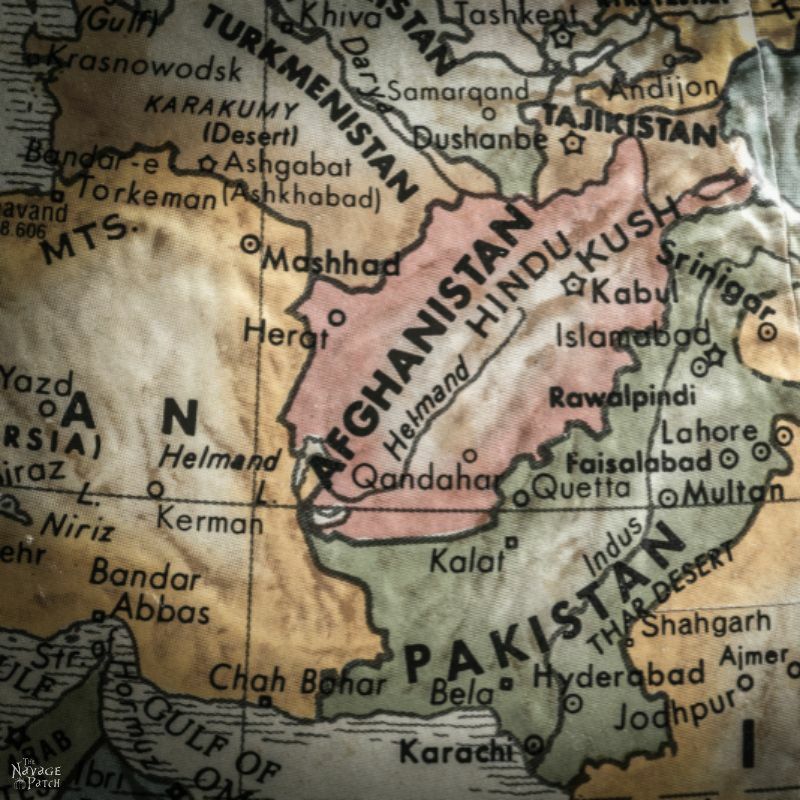 I’m working on the next Afghanistan post right now! Greg, I am a sucker for a great love story. And yours and Handen’s story is all that and more. International intrigue, interesting food, Princes and Kings and a man made Island! Incredible. My question. So Handen couldn’t go into the restaurant to order and eat, but it’s ok for her to be in a bathing suit at the pool at the first apartment? What if she was seen by people that weren’t foreigners? Can’t wait to hear what happens next! Handan never went to that rooftop pool! She would only wear a bathing suit at the pools of the international hotels. Anything else would have been too risky.